Following the 50 minute film, Debbie Mytels of Acterra will describe the local Transition/Resilience movement and will lead a discussion about how to get involved locally. Free and open to all. Contributions will be requested. Wheelchair accessible. Admission is open and free. Based on the practice of good, effective conversation, in this three session series we’ll examine how you can use conversation and community to advance your vision of cultural change. Among other things, we’ll explore Jeremy Rifkin’s idea of the empathic civilization, the new gross national happiness movement, and ongoing efforts for wealth equality. Cecile Andrews, Simplicity author/lecturer will lead a workshop showing ways to build community and examining the essential ingredients of good conversation. Saving the planet means creating a caring culture. Social ties are central to health, happiness, and civic life. Yet our frantic, distracted culture makes it difficult to maintain and deepen social connections. Trust and civil discourse are in decline. Led by Cecile Andrews, author of Less is More, Slow is Beautiful, and Circle of Simplicity. Cecile will also be speaking at the Green Festival at 11am on Sat, Nov 6th. 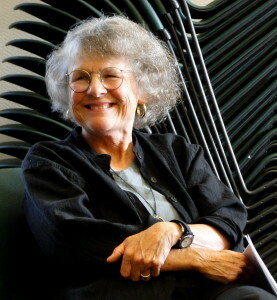 Cecile Andrews has her doctorate in education from Stanford where she teaches in the Stanford Health Improvement Program. She is on the board for Take Back Your Time, and is active in Transition Palo Alto and Seattle’s Gross National Happiness Project. Sponsored by Transition Palo Alto, World Centric and Silicon Valley Action Network (SVAN). 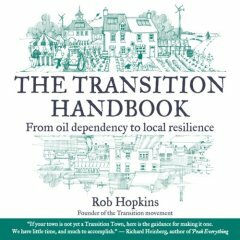 Rob Hopkins added a post at Transition Culture, “Energy Descent Action Plans for cities: some thoughts…”. That post and its comments raise good issues about planning for an Energy Descent Action Plan (EDAP). See my summary, Planning for an Energy Descent Action Plan (EDAP). respond to both the need for practical life skills and for psychological training in how to cultivate positive visions and deal with fear, discouragement, etc. Life with much lower energy consumption is inevitable and it’s best to prepare. We currently lack the resilience we need to cope with a lower-energy future. We have to act collectively now. With our collective genius we can design an energy descent that features better ways of living than our current lifestyle. It is impossible to be resilient without also being equitable. Want to see what Transition is all about? UPDATE (March 28). Transition Culture has the documentary available on Vimeo all in one segment (easier to watch).